Limited availability!!! Offered only in June & July! What to Bring: Good outdoor shoes, clothes suitable to weather conditions and adventurous spirit. Hotel pickups are not included in the price of the tour. We do offer a pickup service, but you are also very welcome to make your own way to the Safari Quads Base Camp! To view company policies and cancellation procedures, please view Quad Safari Policies. Contact us if you want a private departure & tour. 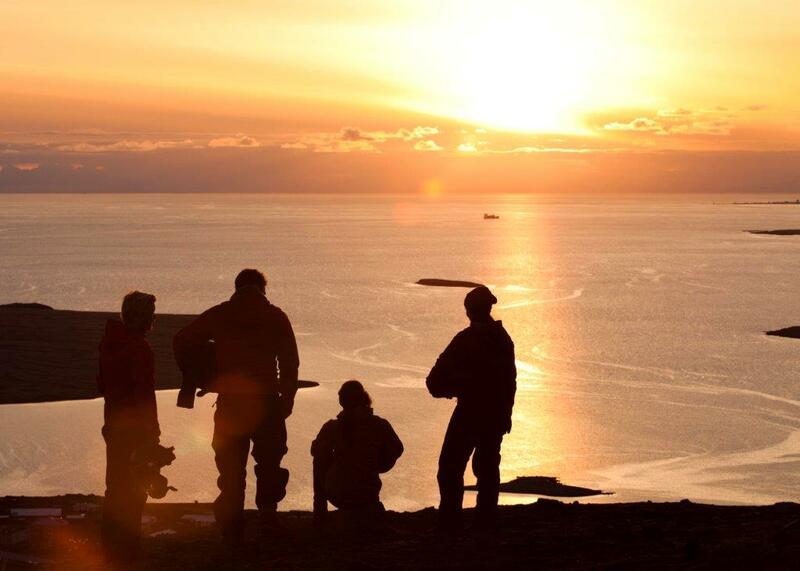 The departure times of the tours will vary throughout the midnight sun season, this is due to the constantly changing sunrise and sunset times. Feel free to email us if you have any questions! Sometimes this makes for a more beautiful sunset, other times it can block it’s view. It all depends on Mother Nature’s will! If you’re joining us in the months of June or July, prepare yourself for some awe-inspiring displays of nature. Just before midnight, Mother Nature lights the sky ablaze with supercharged colours of gold and orange that further intensify as dusk approaches. As the sun slips just beyond the horizon, the sky illuminates at midnight for a few magic moments before the sun rises again. 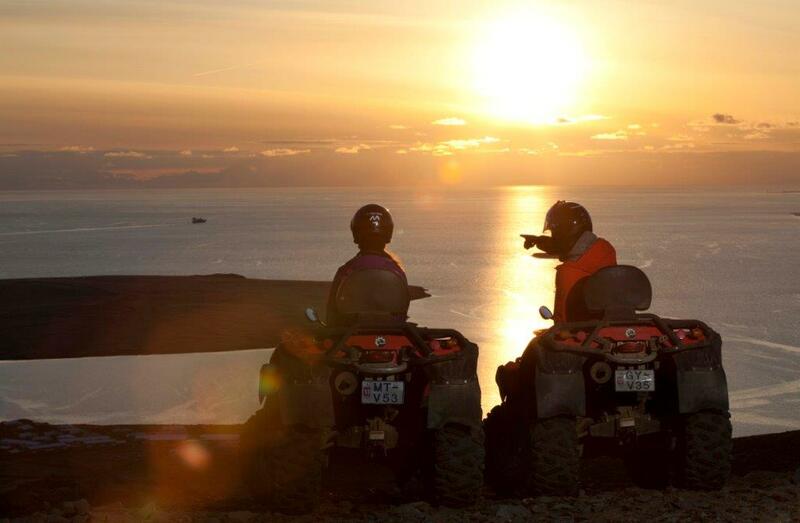 Our Midnight Sun ATV Tour takes to you the highest mountain peaks of Reykjavík to watch this enchanting display first hand. From asphalt and gravel roads to mountain tracks, rocky paths to steep slopes, you’ll get the thrill of quad biking on a range of terrains. All the while you will be surrounded by stunning scenery as the sun slowly sneaks towards the land. Your destinations for viewing the midnight sun are two magnificent mountains: Hafrafell and Úlfarsfell. Each peak offers unbelievable views across the Reykjavik area and the Reykjanes Peninsula. The ultimate place for viewing the midnight sun in action! Your SQ Guide will give you time to relax on the peaks to quite literally watch the sun set and rise all in the span of a handful of minutes. From the peaks, you’ll head back down the mountain to conquer the rest of the trails including river crossings and off-roading at its finest. Get excited! This tour is a must if you’re visiting Reykjavik!! We had such an amazing weather that made this tour just perfect. The guide was very kind and fun. The view you get is simply amazing. Great experience I will never forget! 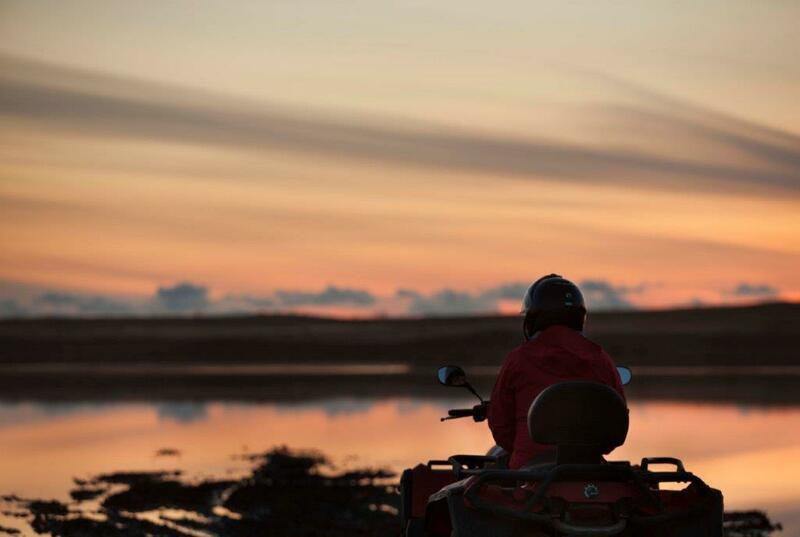 An ATV tour is the perfect way to get a true taste of Icelandic nature. Great for the whole family, this quad bike experience offers breathtaking mountain views and guaranteed fun. This tour is combination of our South coast tour and ATV quad bike ride on the black volcanic sand beach. Early start in Reykjavík where we pick you up from your accommodation and head along the South coast to meet up with the quads.